2019 touring schedule April 12th through September 22nd. 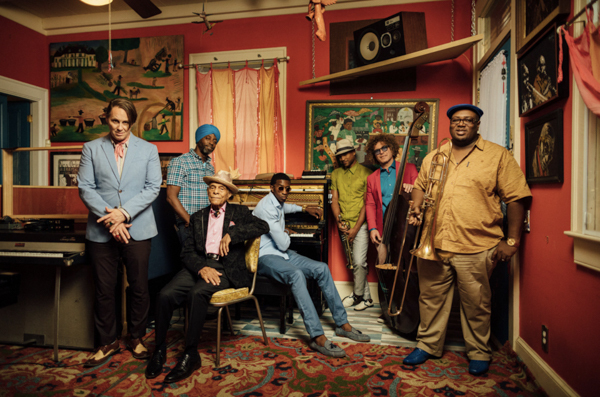 The legendary Preservation Hall Jazz Band have just released “Kreyol,” a spirited new tune from “A Tuba To Cuba,” the forthcoming soundtrack to the critically acclaimed documentary directed by T.G. Herrington and Danny Clinch. The song is available today on all DSPs worldwide from Sub Pop and also YouTube - Spotify - Apple Music. “A Tuba to Cuba” follows Ben Jaffe of New Orleans’ famed Preservation Hall Jazz Band as he seeks to fulfill his late father’s dream of retracing their musical roots to the shores of Cuba in search of the indigenous music that gave birth to New Orleans jazz. 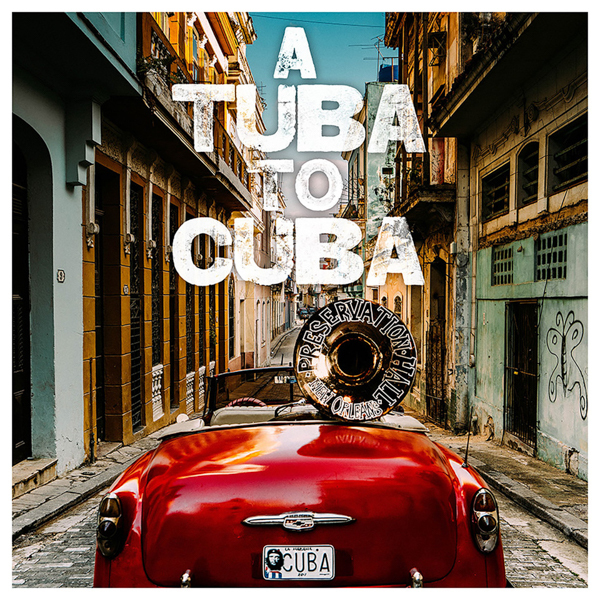 “A Tuba to Cuba” celebrates the triumph of the human spirit expressed through the universal language of music and challenges us to resolve to build bridges, not walls. Beginning today, the film will also be available through Amazon Video, iTunes, DirecTV, Google Play, YouTube Movies and more. Check your local service provider for additional listings. Preservation Hall Jazz Band’s touring schedule for 2019 currently spans April 12th through September 22nd. Headlining and festival highlights include: Cape May, NJ’s Exit Zero Jazz Festival (April 12th); Charleston, NC’s High Water Festival (April 14th); New Orleans Jazz & Heritage Festival (April 27th); Happy Valley, OR’s Pickathon (August 3rd- 4th); SFJAZZ in San Francisco (August 8th-12th); Arrington, VA’s Lockn’ Music Festival (August 24th); Louisville, KY’s Bourbon & Beyond (September 20th); and Franklin, TN’s Pilgrimage Music Festival (September 21st-22nd). Additionally, Preservation Hall Jazz Band will support Foo Fighters at The Fillmore in New Orleans (May 16th) and Dave Matthews Band at Elkhorn, WI’s Alpine Valley Music Theatre (July 5th-6th). Tickets for these shows are on sale now. Frankie Cosmos has announced the release of Haunted Items, a digital-only collection of new stripped-down songs for the piano. Over the next 4 weeks, Sub Pop will share songs from this collection weekly, beginning with the tracks “Dancing” and “Tunnel” which you can listen to today via all digital service providers. See below for a full list of songs. Frankie Cosmos will return to the UK and mainland Europe for a short tour beginning April 1st with a show at EartH in London. The new dates will continue throughout the month with performances in Stockholm, Oslo, Copenhagen, Berlin, Lisbon, Madrid, Barcelona, and Bologna. Frankie Cosmos will then return to the U.S. for an appearance at Austin, TX-based radio station KVRX Festival. You can now watch Weyes Blood perform “Something to Believe,” a beautiful new track from Titanic Rising along with Front Row Seat to Earth standout “Be Free” both filmed live at Pitchfork’s Midwinter Festival at Art Institute of Chicago [see Pitchfork TV March 11th). Weyes Blood (pronounced wize bluhd) will release Titanic Rising, her fourth album and Sub Pop records debut, worldwide on CD/LP/DL/CS April 5th, 2019. 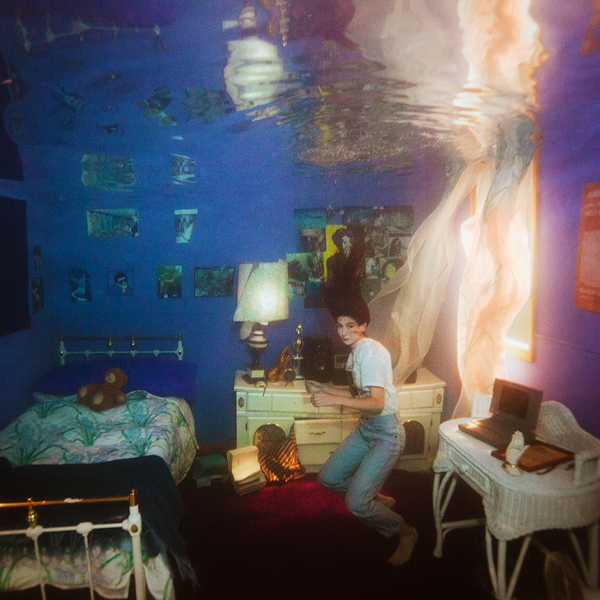 The album features the lead single “Everyday,” and the previously released “Andromeda,” along with highlights “Movies,” “Wild Time,” and the aforementioned “Something to Believe.” The cover for Titanic Rising was shot in a bedroom submerged fully underwater by photographer Brett Stanley (zero CGI). Weyes Blood’s previously announced “True Love is Making a Comeback Tour” for the spring of 2019 in support of Titanic Rising begins on April 22nd in Brighton, UK at the Haunt and currently ends on June 13th at the Troubadour in Los Angeles. Weyes Blood and her band will visit the UK, mainland Europe, and North American for these shows. These dates will be preceded by a run of California shows, which run April 1st-April 5th, 2019. More 2019 dates to come. 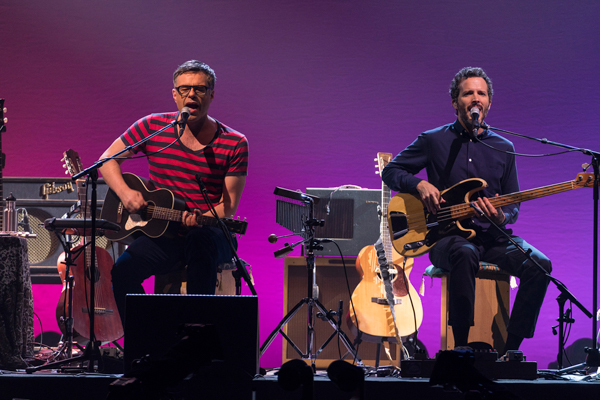 Flight of The Conchords ‘Live in London’ Is Out Today! 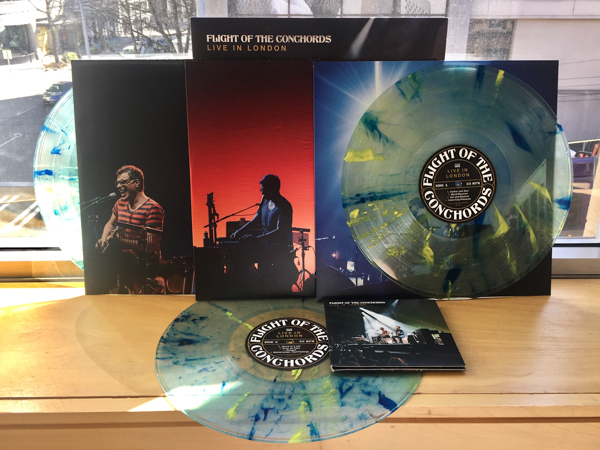 Flight of the Conchords newest offering Live in London is available now on 2xCD/3xLP/DL/CS worldwide via Sub Pop. The Live in London album features 7 new songs including the “Iain and Deanna,” “Father and Son,” “Summer of 1353,” “Stana,” “Seagull,” “Back on the Road,” and “Bus Driver.” The album also features performances of fan favorites “Carol Brown,” “Inner City Pressure,” “Bowie,” “Foux du Fafa,” “Mutha’uckas - Hurt Feelings,” “Robots,” and “The Most Beautiful Girl (In The Room)’ (the latter two bonus tracks edited out of the broadcast due to time constraints). Pictured: Live in London Loser Edition LP (U.S. Version) on “Dragon Tears*” vinyl. LP purchases of Live in London in North America through megamart.subpop.com and select independent retailers will receive the limited Loser edition on clear w/blue and yellow high melt vinyl (while supplies last). Additionally, LP purchases of Live in London in Europe and the UK from select independent retailers will receive the limited Loser edition on clear vinyl (also while supplies last). *Not dragons were harmed in the procurement of aforementioned dragon tears. Album release show on May 25th at Babyland with Positive No & Bat Zuppel. On May 31st, The Gotobeds - Cary, TFP, Eli and Gavin - return to the fray with their third full lengther, Debt Begins at 30. The esprit de corps and anxiety-free joy that permeates their other LPs and EPs remains intact. The octane is high-test, the engine still has knocks and pings and the battery is overcharged. The Gotobeds - as Pittsburgh as it gets, the folk music of the Steel City - have more tar for us to swallow. Debt Begins at 30 is an old-fashioned blast furnace and the liquid iron flows. The album’s first single, “Calquer the Hound,” features guest performances by Kim Phuc singer Rob Henry, and Evan Richards of The City Buses. (The album has guests on all eleven tracks - see the track list below for the details.) The song has euphony, a sly bridge, plenty of trademark bash, and a spacey outro. It’s a sanguine album opener, more Al Oliver than Starling Marte, to put it in Pittsburgh Pirates terms. Tune in to “Calquer the Hound” here and here (see also Brooklyn Vegan March 6th). The band has confirmed an album release show in their hometown of Pittsburgh, PA on May 25th at Babyland. Positive No & Bat Zuppel will open. They will also be opening for Mudhoney Oct 17th at Mr. Smalls in Pittsburgh. More dates to be announced in the coming weeks. Debt Begins at 30 is now available for preorder through Sub Pop Mega Mart. Preorders of the LP through megamart.subpop.com, select independent retailers in the U.S., and select European and UK retailers will receive the limited, orange-vinyl Loser Edition while supplies last. Give me a minute or three to extol the virtues of The Gotobeds, the modern rock-and-roll sensation that has always sounded like they love to play. Never maligned by having the world’s weight on their backs, The Gotobeds - Cary, TFP, Eli and Gavin - return to the fray with their third full lengther, Debt Begins at 30. The esprit de corps and anxiety-free joy that permeates their other LPs and EPs remains intact. The octane is high-test, the engine still has knocks and pings and the battery is overcharged. The Gotobeds - as Pittsburgh as it gets, the folk music of the Steel City - have more tar for us to swallow. Debt Begins at 30 is an old-fashioned blast furnace and the liquid iron flows. Debt Begins at 30 is not “pub sop” in any way or shape. 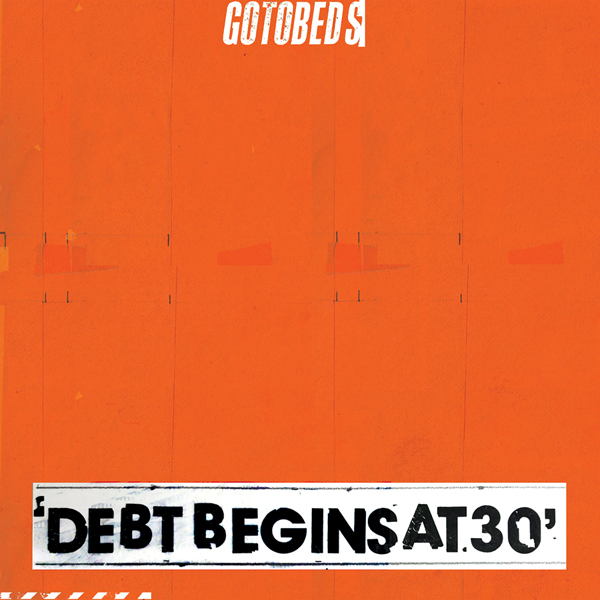 Though I never considered The Gotobeds a band that needed assistance from their peers, Debt Begins at 30 features outside contributors on every track. The album’s first single, “Calquer the Hound,” includes local buddy Evan Richards, and Rob Henry of Kim Phuc. “Calquer the Hound” has euphony, a sly bridge, plenty of trademark bash, and a spacey outro. It’s a sanguine album opener, more Al Oliver than Starling Marte. On “Twin Cities,” the lads tap Tracy Wilson, formerly of Dahlia Seed and currently of Positive NO!, to share the vox, and the result is an exuberant pop song proving The Gotobeds benefit from women ruling the scene. “Twin Cities” is more Dakota Staton than Don Caballero. “Debt Begins at 30,” the title trackular, includes the wizardry of Mike Seamans and legend Bob Weston. It’s a brooding romp with tribal beats and slash-and-burn guitar, more Rocky Bleier than Le’Veon Bell. Unsurprisingly, The Gotobeds called partners-in-rock-crime Protomartyr a coupla times, with Joe Casey bolstering “Slang Words” and hook-fiend Greg Ahee shredding on “On Loan.” “Slang Words” is a savory wrecking ball with a crunching bite, more of a soft shell crab sandwich from Wholey’s Market than a 4am slop feast at Primanti Brothers. “On Loan” is an anthemic jangle-fest with high-arcing fret work, more Karl Hendricks (rest his soul) than “Weird Paul” Petroskey. Silkworm guitarist Tim Midyett is tapped on “Parallel,” a grand song that enters a world of whimsy, melodic and uncomplicated, more Jaromir Jagr than Sidney Crosby. The likes of 12XU label boss Gerard Cosloy, Tre Orsi’s Matt Barnhart, the wonderful Victoria Ruiz of Downtown Boys, Pittsburgh wordsmiths Jason Baldinger and Scott MacIntyre, and yours truly strut stuff on other tracks. In my case, I just scream “dross” on “Dross” several times. Good judgment on the part of The Gotobeds to know that’s the best I can do, more Max Moroff than Andrew McCutchen. Anyways, The Gotobeds have quickly reached the veteran stage, but, based upon Debt Begins at 30, their best days are ahead of them. It’s a pleasure to be associated with such an excellent band. 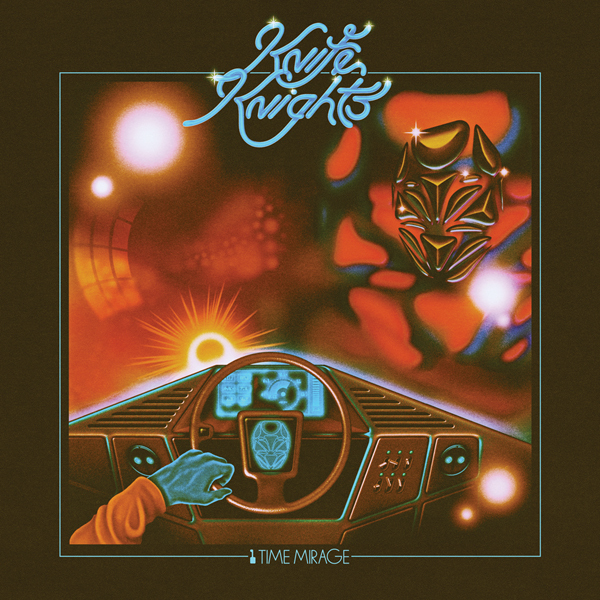 Knife Knights (Ishmael Butler, Erik Blood, and OCnotes) have also announced their first-ever North American tour in support of 1 Time Mirage, which begins April 25th in Tacoma at the Tacoma Elks Temple and currently ends May 24th in Oakland at The New Parish. On select dates along the tour, there will be special guest appearances from the 1 Time Mirage universe. And from May 1st through May 24th, the group will be joined by Mello Music Group recording artist Lando Chill as direct support. 1 Time Mirage is out now on CD/LP/DL/CS worldwide from Sub Pop. The long-player features the highlights the aforementioned “My Dreams Never Sleep” along with “Give You Game,” “Seven Wheel Motion,” “Light Up Ahead (Time Mirage)” and “Low Key,” and was as produced by Ishmael Butler and Erik Blood at Protect and Exalt: A Black Space in Seattle. 1 Time Mirage includes guest appearances from labelmates Shabazz Palaces and Porter Ray, along with Stas THEE Boss, OCnotes, Thaddillac, El Mizell, Marquetta Miller, Gerald Turner, and Darrius Willrich. 1 Time Mirage orders through megamart.subpop.com, select independent retailers and Knife Knights shows will receive the limited Loser edition on blue vinyl (while supplies last). The album cover also features gorgeous artwork from Robert Beatty.